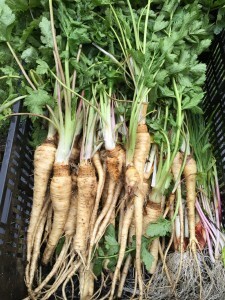 Yesterday I harvested parsnips to roast and serve for my Passover seder. 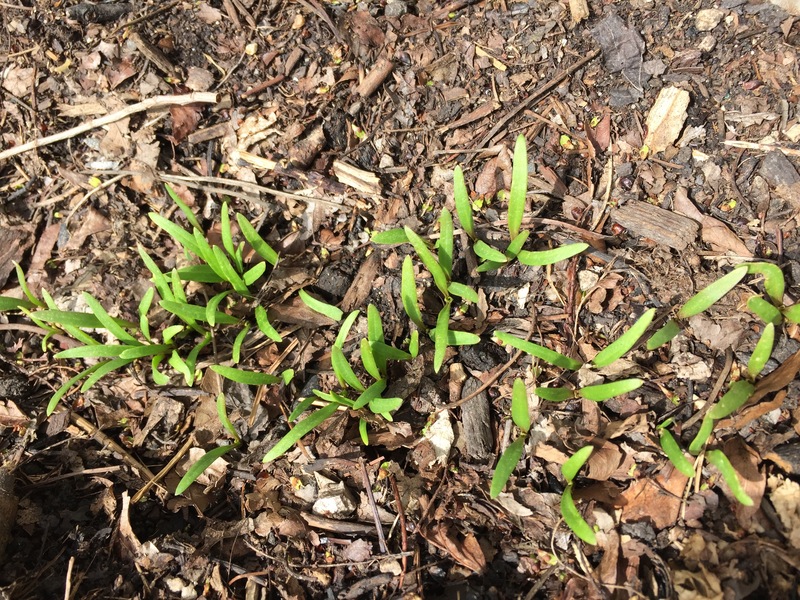 These parsnips I seeded exactly one year ago and overwintered in a bed of leaf mulch. The winter intensifies and carmelizes the sweetness and flavor of the parsnips. Seed packets always say to plant after the danger of the final frost. But when is that exactly? 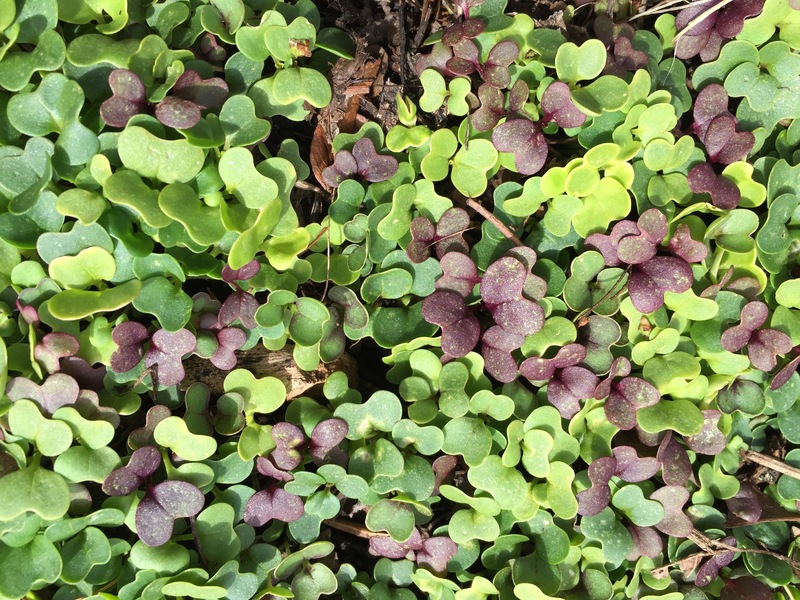 Despite the snow flurries and cold, frosty mornings, the ground is sufficiently warm, and the seeds adequately prepared to germinate and sprout. This is the earliest I’ve planted early spring vegetables. So this cold weather is making it a tad nerve-wracking. 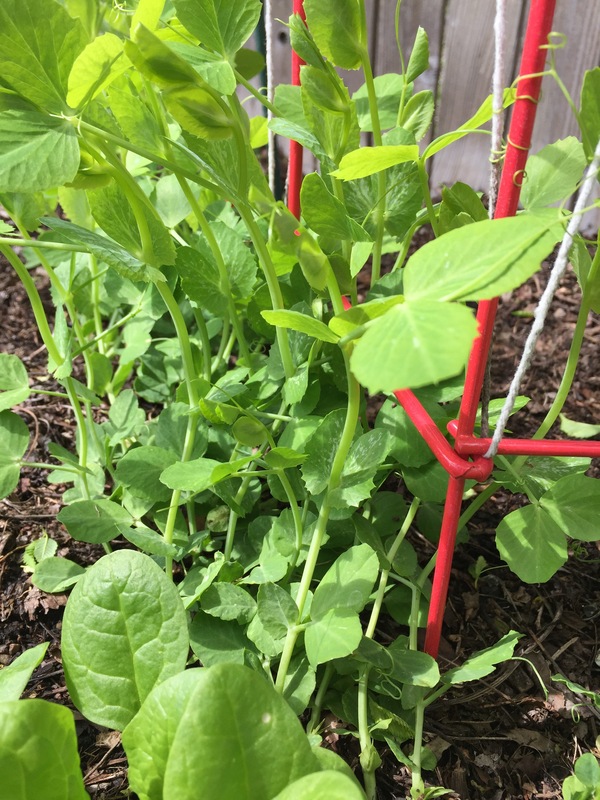 All, however, seems to be doing just fine: the microgreens, pak choi, spinach, romaine and kale are up and growing; and the peas and lettuces are staying warm below ground for the time being. 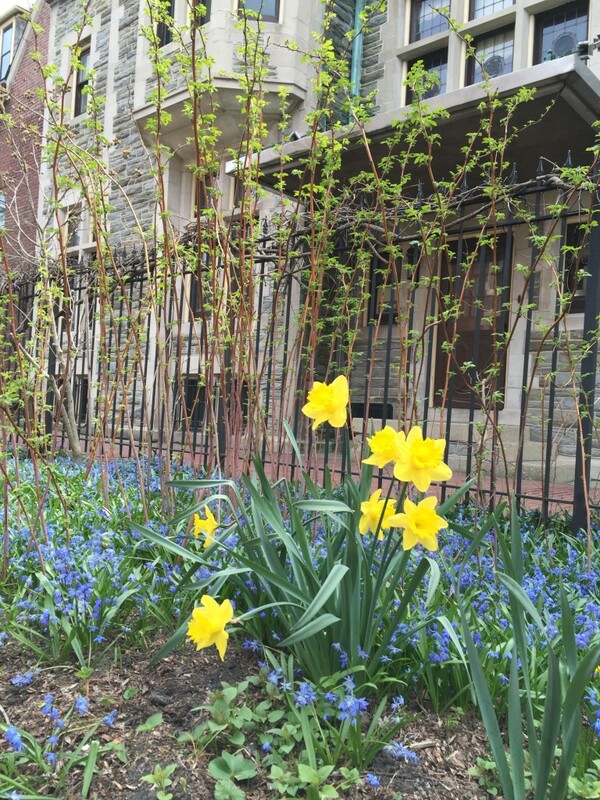 In another month, we can be confident as the gardens flourish. Last week I planted earlier than I usually do. And, of course, it rained and then snowed a few days later. 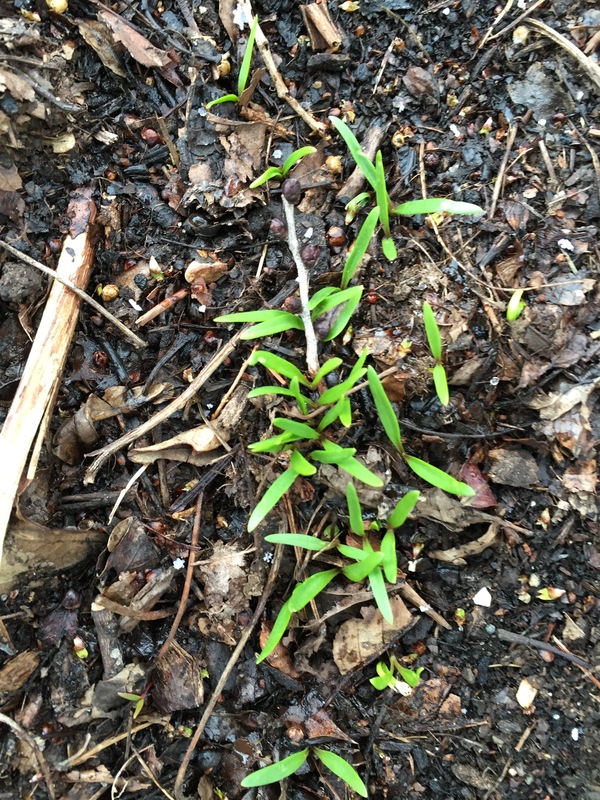 Today as I made garden rounds, I spotted the first tiny sprouts having germinated from last week’s seed plantings. Phew! Delightful! 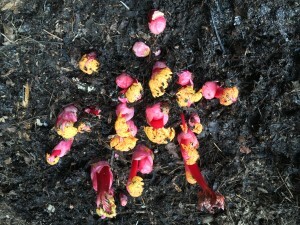 Rhubarb, a perennial, sprouts early in the spring. Don’t you want a new spring frock of the same intense colors? 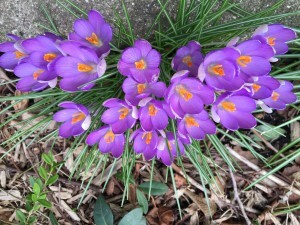 Last year, spring was five to six weeks slow. Spring 2016 seems to be coming more quickly than last. As you may recall from earlier posts, I plant by soil temperature, not length of day. 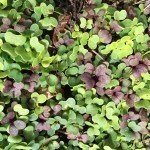 This spring the soil is already warm enough for planting. 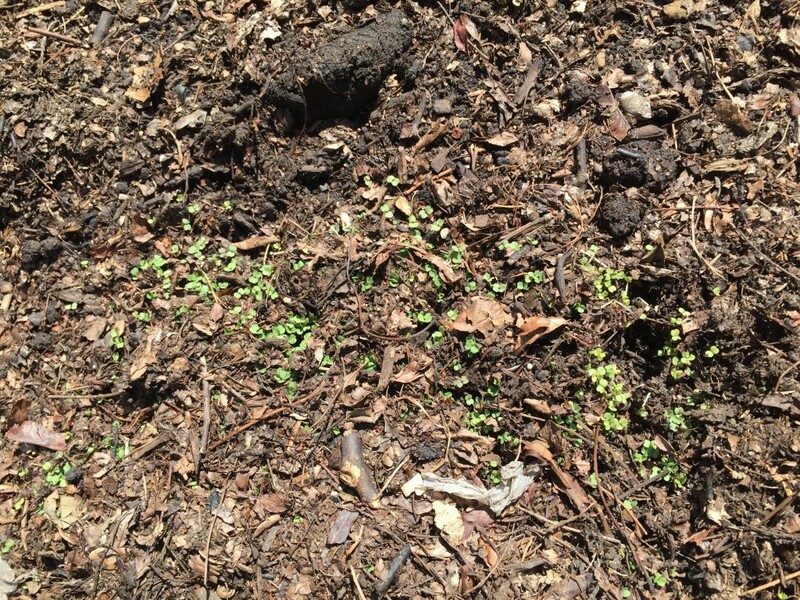 So I planted this week. 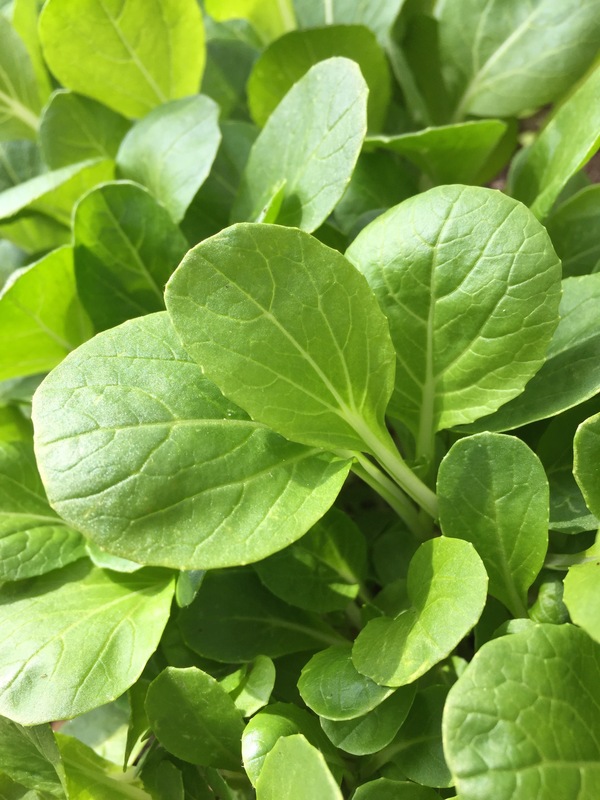 I put in seeds for all the early spring vegetables: lettuces in abundance, spinach, French arugula, microgreens galore, kale, Swiss chard, pac choi, radishes, peas. 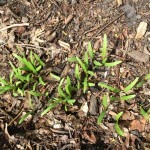 As I pull back the blanket of leaf mulch from herbs and other perennials, I am finding nubby spring sprouts everywhere. 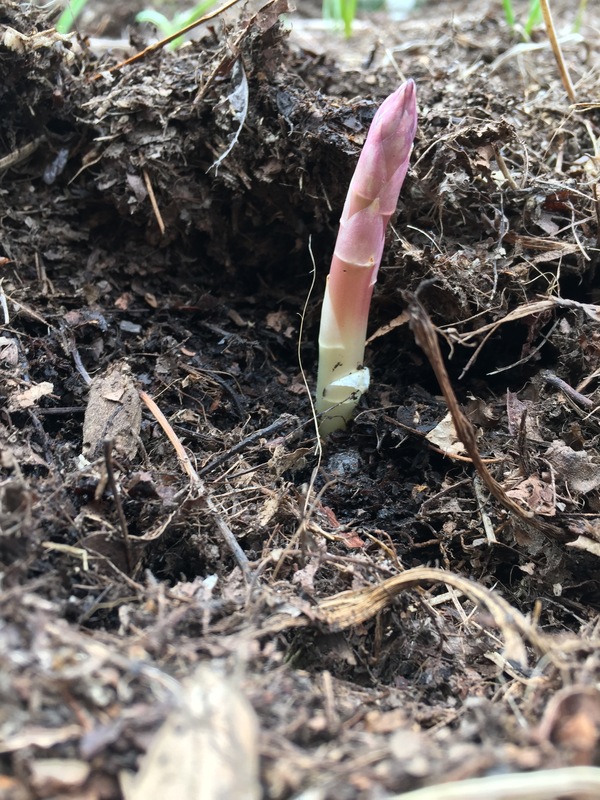 Here is the first asparagus. 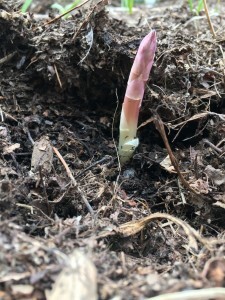 Since this is the third year for my asparagus plants, it will be the first year for eating these delicacies. I also harvested brussel sprouts which I overwintered. 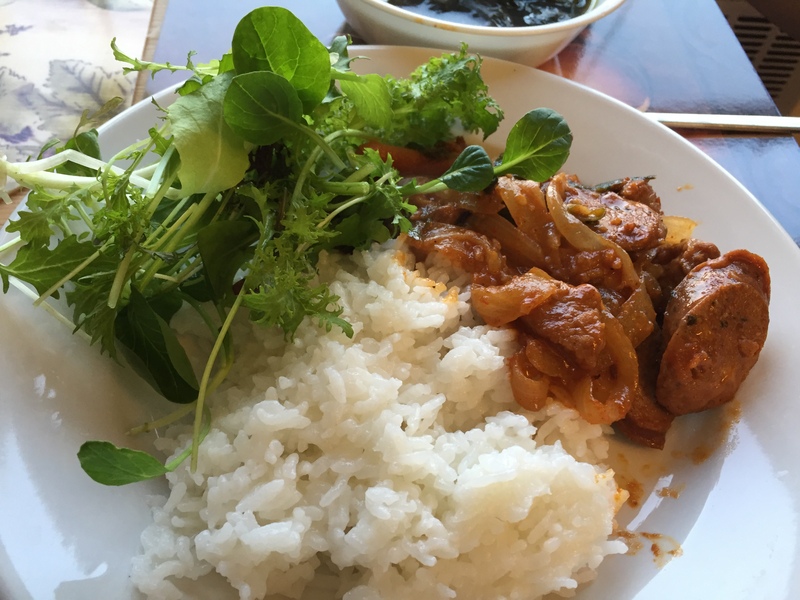 Somehow the cold enriches and intensifies the flavors. 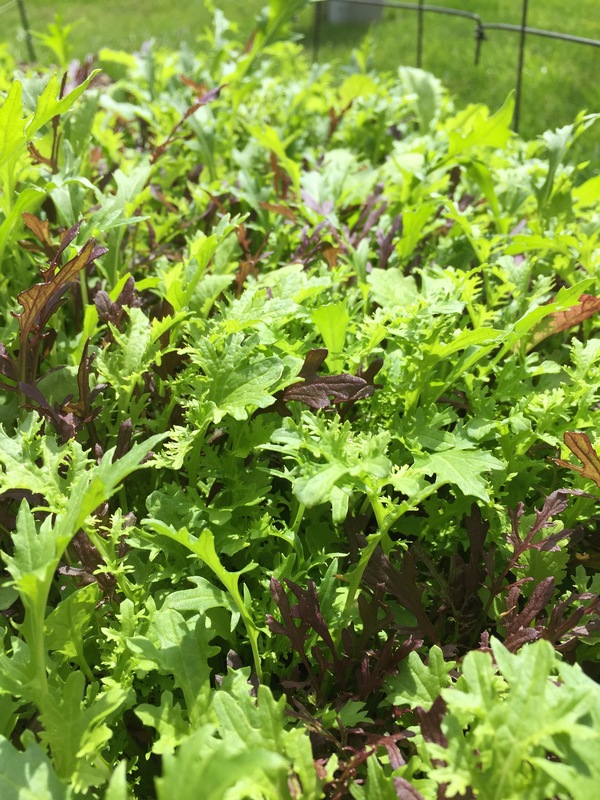 Most of them made it through the winter without rotting or dying. I learned too that the best sprouts come from survivors who were more deeply buried in leaf mulch. I also wintered over a crop of parsnips that are now pushing up new green plumage. 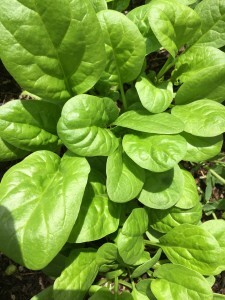 I will harvest these when the plants are fully leafed out, perhaps for Passover next month. 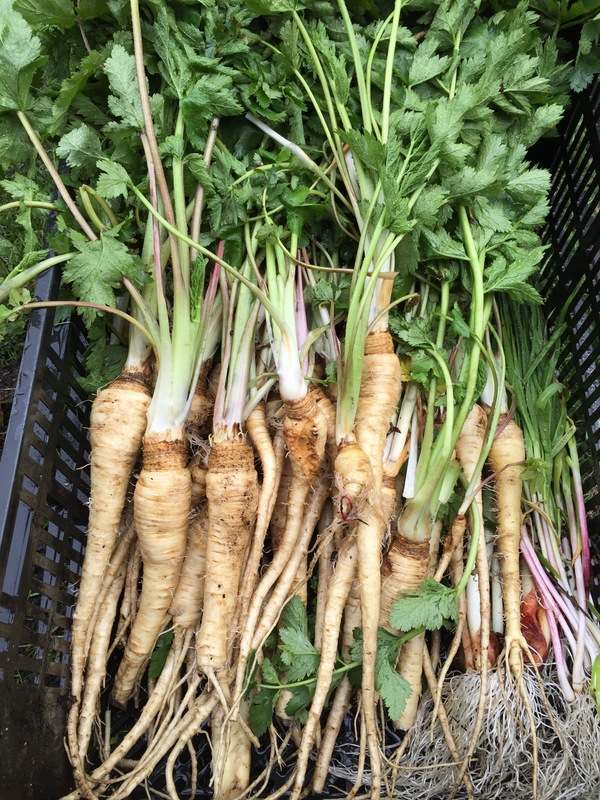 For parsnips too, winter concentrates the flavors of an already flavorful parsnip. This long, lingering Indian Summer — or whatever the weather is doing with several weeks of hot, sunny days — is bringing in a huge crop of warm weather vegetables. Great, flavorful tomatoes. 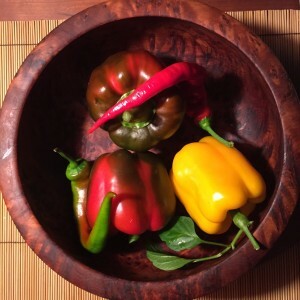 Great peppers of all shapes and colors. Prolific eggplant. What a treat!